Phil Jackson’s master plan of adding at least one top tier free agent to pair with Carmelo Anthony did not work out as players like LaMarcus Aldridge, Kevin Love, Greg Monroe, and DeAndre Jordan signed contracts with other teams. However, this doesn’t mean the Knicks are not a better team now than when the season ended. Jackson’s offseason has signed center Robin Lopez, shooting guard Aaron Afflalo, forward Derrick Williams, and acquired power forward Kyle O’Quinn in a sign and trade from the Orlando Magic. None of their contracts were expensive by NBA standards, and they should help the Knicks improve on the 17 wins from last season. The 2015 draft brought in 7’2″ center Kristaps Porzingis from Latvia who is a high risk, high reward selection. Many consider Porzingis to have a strong offensive game, but to be unpolished defensively. Porzingis definitely needs to bulk up to play the center position in the NBA. 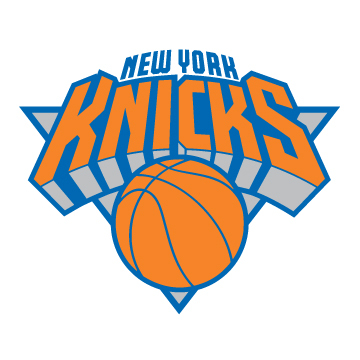 A strong move the Knicks made later in the first round end of round one was trading the inconsistent Tim Hardaway, Jr. for the nineteenth pick as part of a three-team trade. The Knicks then drafted point guard Jerian Grant out of Notre Dame to run the triangle offense. Grant redshirted his freshman year so he spent five years at Notre Dame under Coach Brey who saw his former pupil get better each year and lead the Fighting Irish to the Elite Eight and ACC Championship his senior season. Both Brey and Jackson believe Grant has a high basketball IQ who is perfect to run the triangle offense. Grant’s experience of being at Notre Dame for five years show he is mature enough to step in and play right away. The consensus first-team All-American has ties to Jackson as his uncle Horace Grant won four NBA championships playing for Jackson in Chicago alongside Michael Jordan. Grant’s father, Harvey, also played in the NBA as does younger brother Jeremy who plays for the Philadelphia 76ers. All of these additions definitely make the Knicks a much stronger team than they were when the season ended. Add in the fact that Carmelo Anthony is returning from knee surgery that ended his season last season and the Knicks could hover around the .500 mark all season.